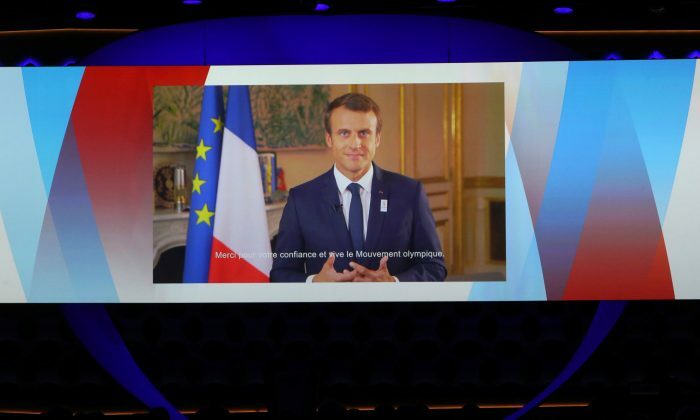 PARIS—President Emmanuel Macron offered an ambitious vision for European renewal on Tuesday, calling for the EU to work more closely on defense and immigration and for the euro zone to have its own budget, ideas he may struggle to implement. In a nearly two-hour speech delivered two days after the German election in which Chancellor Angela Merkel’s alliance underperformed, limiting her freedom to maneuver on Europe, the 39-year-old French president held little back in terms of sweep, self-assurance and aspiration. But at a time when Europe is beset by tensions between east and west and battling to overcome nearly a decade of economic crisis, Macron’s earnest and at times high-brow discourse ran the risk of falling on deaf ears. In his campaign for the presidency, Macron made European reform a central plank and he and Merkel have spoken about their desire for France and Germany, the European Union’s two largest economies and often the engines of change, to take the lead on integration. Her CDU/CSU alliance is still the largest bloc in the Bundestag, but to build a working majority she will likely have to form a coalition with the liberal Free Democrats (FDP), who are opposed to many of Macron’s ideas, and the Greens. Rather than tailoring his speech to fit the contours of what the FDP, the Greens or Merkel may have wanted to have heard, Macron kept his vision broad and far-reaching, while also detailing some specific ideas for an improved euro zone. The FDP has also called for phasing out Europe’s ESM bailout fund, which Macron wants to turn into a European Monetary Fund, and wants to see changes to EU treaties that would allow countries to leave the euro zone. Not shying away from addressing Germany directly even as it tries to deal with the fallout from Sunday’s election, Macron set an objective that the two countries completely integrate their markets and corporate rules by 2024. In Berlin on Monday, in a reference to Macron’s speech, Merkel said it was important to move beyond catchphrases and provide detail on how Europe could be improved. It was not immediately clear whether Macron had managed to go beyond slogans as far as Merkel was concerned. But Martin Selmayr, the chief of staff of European Commission President Jean-Claude Juncker, said the proposals to reinforce the euro zone would be discussed alongside Juncker’s own at a special euro zone summit planned for December. “A very European speech, very open,” Selmayr tweeted in French. Ahead of his speech, Elysee officials said Macron hoped his ideas would be taken into account in Germany’s coalition building negotiations. Those talks are not expected to begin until mid-October and may take several months. Macron’s thinking appears to be to get his boldest ideas out and into the discussion before the coalition agreement takes shape. German coalition deals are strict, setting red lines for how far the chancellor can maneuver and therefore limiting the scope of any Franco-German initiatives.